Link: Gift laptops from Microsoft ignite 'blogosphere' controversy - Yahoo! News. Well, the FutureLawyer is pretty certain HE won't be getting a free laptop computer from Microsoft. Microsoft's free computers to 90 bloggers in order to test Vista in the real world (and, of course, get good press) has created a "Payola" style controversy in the blogosphere. Since the Futurelawyer has so NOT been on the Vista bandwagon, I am not checking my mailbox every day for my free laptop. 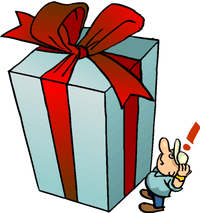 Microsoft claims that it doesn't expect any good press because of the gifts. And, I have some swampland in South Florida to sell, cheap. And, even though I am a Congressman with wads of cash in my freezer, I certainly won't vote in accordance with the guy who gave me the money. And, well, you get the picture. Shame, shame, Microsoft. Of course, if you send me a free laptop, I might change my mind about Vista. 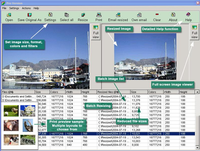 Link: Photo Resizer - Free Software Downloads and Software Reviews - Download.com. You may remember the online photo resizer tool I pointed to recently. OnLine Photo Resizer Tool . Well, here is a free software program that resides on your disk, and performs the same function. Just point to the photo on your hard drive, identify the size you want it to be, and, presto, the software creates a photo in the format you choose in the size you choose. So, pick your poison, online or ondrive, you have the wheel. You can buy a full-featured Pro version for $18. Link: Legal Technology - No Rush to Upgrade Your WiFi Router. I agree that it is too early to upgrade wireless routers to the so-called N standard routers now available. First, you probably don't need it, if your wireless network is operating adequately. 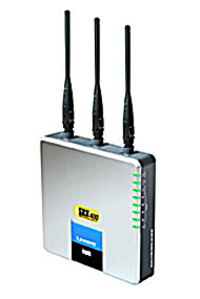 One of the Pre-N routers, like the LinkSys Wireless G Router with SRX400 , can be purchased for around $50, and has the MIMO (multiple input multiple output) antenna system that increases speed and range. The N routers are much more expensive, and the standard really isn't a standard yet. If it ain't broke, don't fix it. I have the MIMO equipped G routers in my home and office, and speed is never a problem. The MIMO antennas have increased the range to comfortably cover a large area. Link: Otterbox at OtterBox.com: Otterbox, Waterproof Boxes, Waterproof Box, Waterproof Plastic Boxes, Waterproof iPod Cases. One of the cool things about tech journalism is that companies are always sending stuff to review. That is the case with an OtterBox water resistant, shock resistant Treo case recently provided to me. The case is sturdy, and water resistant (the company is careful not to call it waterproof), but it clearly can resist the elements during outdoor use. 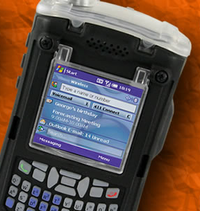 It makes the Treo very bulky and heavy, but does the job well. After using it a short while, I quickly realized that it would have protected me from three incidents that destroyed Palm predecessor machines. Once, I had my Palm in my shirt pocket, and leaned over to flush the toilet. Yep, you guessed it, the little bugger dropped in the water, and never worked again. Try filing that claim with your insurance company. Next, I was in a canoe with a girlfriend and my daughter, and was carrying my Palm, my cell phone (this was before you could get both in one machine), and the canoe tipped over, dunking us all, and destroying another Palm. I tried drying it out, but the circuits don't take to brackish water very well. The last time I was next to the pool in the backyard, and the Palm went swimming. In each of these real life examples, the OtterBox would have saved me. If you are going to be out in the elements, I recommend this product. Don't blame me, however, if you get mistaken for an Army commando. Link: Googlepedia | Firefox Add-ons | Mozilla Corporation. What if you could search Google and, in addition to the search results, look at the corresponding entry in Wikipedia? This mash-up extension for FireFox does just that. Some lawyers are beginning legal research projects in Google, as the results often give a great overview of a topic. Googlepedia gives additional functionality to such research. Welcome to Web 2.0. Link: Dynamism.com - Vega. What weighs 7/10 of a pound, has a 4.3 inch touch screen, a 30 Gigabyte hard drive, and runs a fully functional version of Windows XP Home Edition? Why, the Vega, of course, and this little hand-held beauty is the smallest fully functioning Windows computer available. $879 at Dynamism, and it could be yours. There is a USB port for external keyboards, a VGA out for external screens, and this thing really will fit in your pocket. Is it usable on a day to day basis? Depends on you. The really cool use for it, though, is as an external functioning hard drive. Just plug it in, and, voila, 30 Gig of backup for programs and data. Then, when you are away from the laptop or desktop, you can actually run real programs on it. I don't exactly know what I would use it for, but I WANT one. 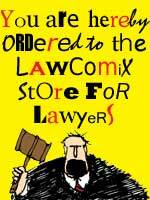 idealawg: 10-day countdown: Lawyers Appreciate . . .
Link: idealawg: 10-day countdown: Lawyers Appreciate . "Lawyers appreciate other lawyers who take time out from their busy schedules to blog about things lawyerly, and things not. I appreciate the effort put forth by bloggers like Kevin O'Keefe, Dennis Kennedy, and Monica Bay. I have a few others I would like to tag, like Grant Griffiths, but I only get three strikes. So, Kevin , Dennis and Monica , tag, you're it. Link: Free Undelete Utility Recovers Deleted Files, Unerases Lost Data. Here is a handy free utility for undeleting files erased by mistake. It works with NTFS and FAT32 and FAT16 partitions, and will save your hide on occasion. It is totally free, from OfficeRecovery.Com. It can also be used to recover files intentionally deleted by litigants trying to hide information from the discovery process. 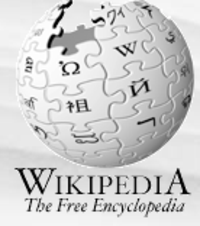 Link: Wiki Search Planned - Yahoo! News. Were you aware that Jimmy Wales, the founder of Wikipedia, is from my town of St. Petersburg, Florida? Yes, friends, this hotbed of Internet activity is home to both the FutureLawyer and Wikipedia. Well, Mr. Wales is taking on Google, and that story alone should be frightening to the formerly non-corporate Internet Revoloutionary founders of Google, which now hobnobs with Governments, and makes deals with the Chinese to restrict Internet searches. Mr. Wales believes the the Internet needs a search engine that is not, in his words, "broken". His exact quote was "It is broken for the same reason that proprietary software is always broken: lack of freedom, lack of community, lack of accountability (and) lack of transparency. Here, we will change all that." Given his history with Wikipedia, who can doubt him? Link: Web-Tones: Search, KM and the Practice of Law. My friend, Carlos Leyva, is highlighting Atlassian's Wiki software, Confluence, in his latest blog post. This software is essentially a group wiki, that creates a knowledge management platform for the sharing of knowledge in a discrete group. 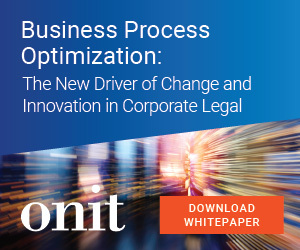 Law firms are trying a lot of new ways to leverage shared knowledge across the firm and client base, and this Web 2.0 solution is an inexpensive way to use the Web for such purpose.